Abstract: This essay examines the medieval beliefs associated with mental illness. It then examines the mental health associated with four characters: Aerys Targaryen II, Joffrey Baratheon, Ramsay Bolton and Theon Greyjoy, to determine a possible diagnosis for them. Aerys and Joffrey are then compared to possible historical counterparts, and finally, there is an examination of whether mental illness as it exists in Game of Thrones can in fact be called medieval. Mental health in the Middle Ages, though vastly different to what is thought of in today’s society, still had its own system which suited their needs. 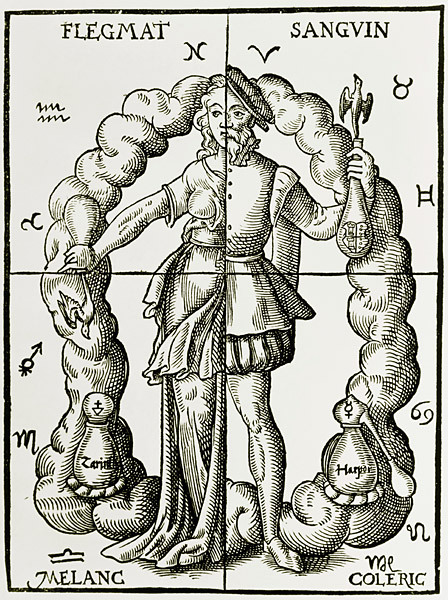 Drawing much from Classical writings, such as Aretaeus of Cappadocia, medieval physicians such as Bartholomaeus Anglicus developed two prevailing diagnoses at two ends of the diagnostic spectrum. The first was melancholia in which a patient experienced depression, but could also include hallucinations, anxiety and suspicion, and the second was mania, where the patient was unable to control themselves and suffered from a range of emotions such as fury and excitement. Within each diagnosis were a separate spectrum on which a patient could fall, for instance a person with melancholia could either be depressed and lethargic or anxious and suspicious. While this makes specific diagnosis difficult for a medieval physician, it indicates that naming the issue was not the main concern; rather they were terms to distinguish someone as mentally unwell, and in medieval terms ‘mad’. There were two main theories for the causes of madness that were prevalent in the Middle Ages. The first was of a religious origin. In Christian thought, the Holy Spirit and the Devil fought for dominance of a person’s soul, and the result of this could be madness. There could be two different manifestations of this. A person could have a holy experience akin to the hallucinations of saints in which Christ is revealed to them. This type of madness was only thought of negatively if they took place in inappropriate circumstances. However, the more common religious manifestation was that of a demonic possession. This type of madness was linked to the sin of wrath and was often interpreted as a divine punishment for sinners, but also could be meant to test the faith of an individual. While this may have been the cause of mental illness proposed by some, it has been noted that in Medieval England legal and administrative documents rarely describe madness with a religious component, though this does not mean madness was not explained in this way in popular discussions or in other countries at the time. Humoral Theory as depicted by Leonhard Thurneysser. The second popular explanation for the cause of madness had its roots in Classical teachings which continued into the medieval period. Hippocratic medicine dictated that the body was comprised of four humours (fluids) associated with temperature and colour. Blood was associated with heat and wetness, yellow choler/bile was hot and dry, phlegm which included all colourless bodily fluid was wet and cold, and black bile was dry and cold. When these four humours were out of balance, the temperament and physical health of an individual would therefore be out of balance. An excess in black bile would result in melancholy, in fact another name for black bile was melancholy, and an excess in yellow bile was thought to result in mania. To modern readers these explanations of mental illness are inaccurate, but to the medieval mind it was an expansion of religious knowledge and a continuation on hundreds of years of medical knowledge and research. Emotions and the control of them also played a large part in the diagnosis of individuals, as it was seen as a sign of mental instability. Bartholomaeus Anglicus, for instance, notes that madness could result from passion, such as anger. In testing one’s mental stability, the excess of an emotion, such as anger and depression would indicate that an individual could not interact properly in society. However, Thomas Aquinas notes that sometimes anger and the desire for revenge indicated that an individual was rational, as the capacity to think through revenge required an understanding of justice. It was seen as an excess, therefore, when the emotion was viewed as inappropriate, the belief being that “inappropriate emotions could lead to inappropriate actions”. Conversely, an individual who was not capable of being emotionally invested or able to express emotions was seen as mentally ill.  For example, Catherine Ronges who was accused of murdering another woman was noted as having a lack of emotion and therefore it was agreed that she was mentally ill, having struck the woman without any emotion. An individual incapable of emotion was therefore also seen as emotionally inappropriate. Much like there were various causes to explain madness, there were also various treatments. Treatments were listed regardless of their effectiveness in order to provide the reader with as many options as possible. In one instance, Bernard of Gordon, a 13th century physician, lists treatments for epilepsy despite not ever having cured a case. Those who were seen as possessed could achieve sanity through religious means such as mass, exorcism, and pilgrimages to shrines that advocated healing. If an imbalance of humours was seen as the cause, attempting to rebalance these humours was seen as the logical solution. Humours could be rebalanced through diet, for example those with mania and an excess of yellow bile, associated with hot and dry could be rebalance with a cold and wet diet including salad greens, barley, wheat and milk with no wine or red meat permitted. Humours could also be allowed to escape, which could be achieved through a phlebotomy (making an incision in a vein), bloodletting or exercise and sweating. To prevent the humours from flowing to the extremities, the binding of patients was also a valid treatment. Most popular was to give recipes of a mixture of herbs, though no one explanation was given as to why a particular recipe was effective. For instance, in the Book of Quinte Essence a mixture of popilion, vinegar and rue should be applied to the hands, feet and nostrils to mitigate mania. 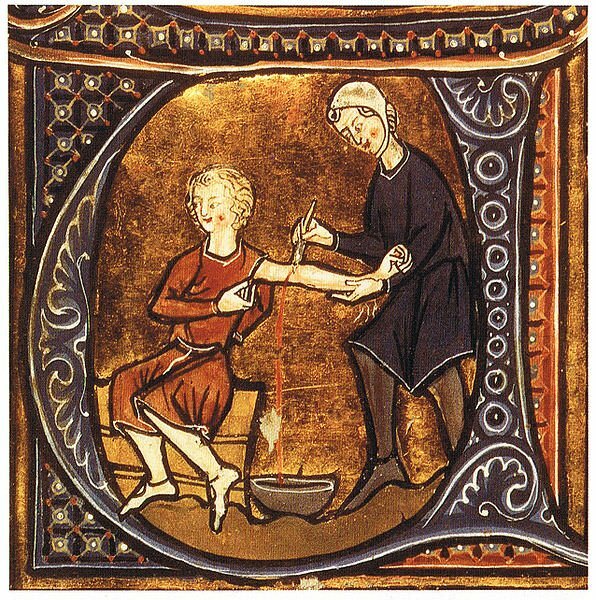 While the treatments differ, just like today where there are multiple remedies available such as medication and therapy, which could be used in conjunction, these medieval treatments provided several options for physicians and patients. A Manuscript Illumination of Bloodletting. Those considered mad in medieval society were recognized as different from others. In medieval English law those considered mad who committed a crime were often pardoned, not having to undergo penalty as they were not considered responsible for their actions, and even regarded as children. On stage the mentally ill were seen as dishevelled and strange, with tattered, or even lacking, respectable clothing, and fools were commonly depicted as having a stone coming out of their forehead known as the ‘stone of folly’. Both of these tropes allowed for an internal illness to be physically manifested. The mad were stigmatized, and some scholars have suggested that this is due to the need of individuals to differentiate themselves from an other. Formal segregation began at the end of the Middle Ages, when religious and public houses began to house the insane in the name of charity. For example the St. Mary of Bethlehem religious house was used to house patients in the 14th century, and eventually became the insane asylum known as Bedlam. Since those considered mad in the Middle Ages were considered different, someone must be responsible for their care. It was not until the end of the medieval period that the mad were segregated strictly, prior to that it was the family that cared for the infirm, and there is evidence that even into the 15th century the mad were cared for locally and at home. The guardian was responsible for keeping the insane safe, however if a guardian was in line to inherit, they sometimes thought it was easier to get rid of their mentally ill relative. Some suggest that the infirm were encouraged to participate in the broader community, while others state that they were isolated in cellars, neglected and treated cruelly. While it was true that the mentally ill could be mistreated, just as is true today, there were measures in place to care for them. Beginning in the mid-13th century in addition to guardians, the crown began to become wards of landowners seen as mentally incompetent, explaining it as protecting them from potential harm to themselves and others as well as providing care, while in some boroughs families were still responsible for the care of the mentally ill until the 14th century, and in others the magistrates of the borough took the mentally ill in as ward, mimicking the king’s responsibility. The guardians, often chosen by the king, were not allowed to be in line to inherit the property and income, therefore protecting the infirm from potential harm, and a portion of the ward’s lands were given to the guardian as payment. The main incentive for the state to enact wardship was the income that was generated on the property of the ward. Conflict sometimes arose between the crown and city officials as to who had the rights to wardship and the resulting income, and officials often went to great lengths to keep the income at a local level, such as marrying the infirm to a local person. However, in the 14th century many of these issues were resolved with the increasing use of wills in cities and boroughs, in which the mentally ill person was excluded from the will in favour of a more competent choice, and by the 15th century the practice was slowly adopted by landholders. The king, and his relationship to mental illness, was different than that of the average person. Rather than extreme emotion having a negative impact on the character of an individual, it was seen as necessary for a king to display some sort of anger and violence. The stipulation for this was that in order for anger to be seen as good, it had to operate within the law and work to enforce the law rather than undermine it. An example of this includes Orderic Vitalis’ account of the rebel Robert of Belleme who acted with negative anger, pillaging and killing innocents as well as destroying Churches. In this case Robert was acting outside the law and his anger is therefore not justified, while Henry I’s reaction was as he wass trying to enforce it, even though he was doing so with violence. Kings were also capable of excessive anger, though their overall character was explained as temporary insanity as the anger meant they were no longer capable of reason. Orderic writes how William I pillaged and killed in the North after his conquest, and does not commend it as righteous, but rather predicts punishment for it, as he was acting outside the law. Anger and violence, while seen as necessary for an effective king, still had its limits. The concept of a guardian was also more complex. As the king was the one to typically assign a guardian to the mad, the state effectively had to act without its leader to appoint a guardian for its leader. This measure was therefore only used in the most extreme circumstances, such as Henry VI, when there was little hope of recovery. *Note: The events referred to for diagnosis of the following characters are available in the timelines before each analysis. For a timeline concerning Aerys Targaryen II click here. Aerys Targaryen II fits the possible diagnosis of having schizophrenia. He suffers from delusions, in particular grandiose delusions of his abilities, somatic ones in which he becomes obsessed with his health, and persecutory delusions in which he believes that people are attempting to harm him. 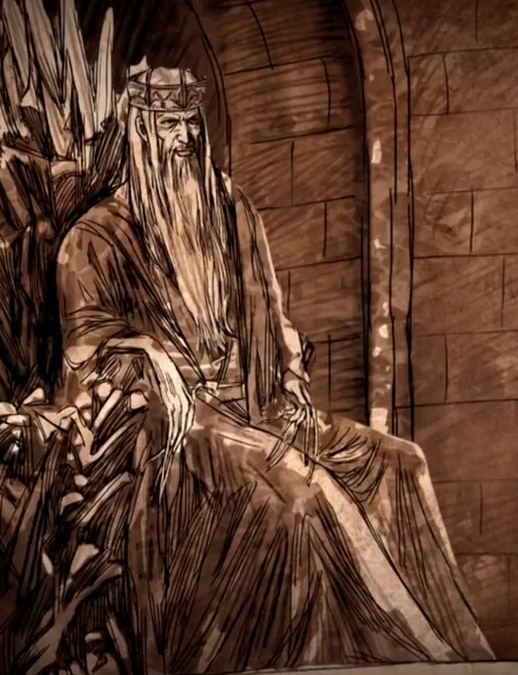 Upon his coronation Aerys wishes to be the best king in history and makes unrealistic plans for the realm. In addition, he lets no one touch or groom him, either because he is fixated on his health, or he fears harm. Finally, after the events of Duskendale, Aerys is unwilling to have any swords around him, and becomes suspicious that Tywin Lannister and Prince Rhaegar are conspiring to overthrow him. Aerys also experiences disorganized behaviour where he becomes unpredictable and suffers from mood swings without the appropriate stimuli. After the death of his son Jaehaerys, Aerys goes from enraged and violent, to a repentant and pious man relatively quickly, and at the tournament at Harrenhal he was susceptible to bouts of crying, anger and happiness without provocation. It is difficult to determine whether Aerys suffers from disorganized thinking and King Aerys Targaryen II.speech, as his speech patterns are not observable in either the novels or the HBO adaptation. It is possible that this symptom may impair him, but it is unwise to assume it. Likewise it is unknown whether he experienced hallucinations. Perhaps he hears voices or sees visions, but it has not been noted, so there is no concrete evidence to support this symptom. However, while he does not experience these, only two of the symptoms listed need to be experienced for a significant amount of time to be diagnosed with schizophrenia. There is a genetic risk associated with schizophrenia that Targaryens may have been susceptible to. His ancestor King Baelor I had hallucinations in which he saw a boy speaking to doves, which led him to appointing the boy to the position of High Septon, and later Aerion Brightfire swallowed wildfire, believing that he could become a dragon. This genetic factor would but Aerys at a higher risk for schizophrenia. As an alternative, Aerys Targaryen II may suffer from paranoid personality disorder. In this case his delusions that others were going to hurt him would be criteria for the disorder. Aerys suspects others without cause, doubts the loyalty of his men, innocent events are seen as threatening, bears grudges, is quick to anger, and feels his reputation threatened. These symptoms are evident in how he interacts with others, but especially in his relationship to Tywin Lannister. Aerys begins to doubt that Tywin has his best interests in mind and fears that he is being spied on and mocked. He gets angry when others threaten his position, such as with Ser Ilyn Payne, and when a tournament is held he fears it is really a plan to overthrow him. He is also suspicious in his interactions with his wife Rhaella, believing her to be unfaithful without reason. Paranoid personality disorder is known to precede schizophrenia, so it is possible that Aerys suffers from both, but in order to be diagnosed with only paranoid personality disorder, the symptoms cannot occur during a schizophrenic episode, meaning if his paranoia is viewed as a delusion, he cannot have paranoid personality disorder at the same time. It is also possible that Aerys suffers from pyromania. Aerys fits the symptoms as he has set deliberate fires, preferring it as his method of execution. For example, he sets Rickard Stark on fire when he reaches King’s Landing. Aerys also experiences a fascination and an arousal from fire. He wishes to hatch dragon eggs, and raises up the Guild of Alchemists responsible for creating wildfire, and as Jaime Lannister notes, whenever Aerys burned a man, he would become aroused and enter the queen’s chambers, when they usually slept and lived apart. For Joffrey Baratheon’s timeline click here . The Execution of Ned Stark. As psychologist Jonathan Fader has noted in his article, it is possible to diagnose Joffrey Baratheon with antisocial personality disorder, as he enjoys deceiving and hurting others as well as violating their rights. For instance, Joffrey lies for personal gain when he has Sansa believe him to be a gallant boy in order to gain her affection. Joffrey also continually enjoys seeing Sansa physically abused, ignoring her safety by having his knights continuously strike her, as well as psychologically abused by forcing her to see the severed head of her father. Joffrey also displays a general disregard for others when he attempts to seriously injure Mycah, kill Bran, dole out punishments to maim his subjects for perceived slights, and expresses glee at the death of Robb Stark. However, one of the main criteria for antisocial personality disorder is that the individual must be at least eighteen, making Joffrey too young for this disorder. It is therefore more likely that Joffrey suffers from conduct disorder. A frequent precursor to antisocial personality disorder, conduct disorder displays many of the same symptoms, but can be diagnosed in children. Sufferers of conduct disorder still deceive others and violate their rights, which Joffrey has been observed doing, but there are also additional symptoms which Joffrey can be diagnosed with. Those with conduct disorder are observed as being cruel to animals, destroying property, and violating the rules given to them by authority. Joffrey fits all of these criteria. When he was young there was an incident in which Joffrey cut open a cat to see her kittens, he destroys a wedding present given to him by his uncle Tyrion, and is unable to be controlled by his mother and grandfather, insisting that since he is king he can do as he likes. He can also be specified as having prosocial emotions associated with the disorder, as he expresses a lack of remorse and empathy (as noted above when he enjoys seeing others abused). It is also possible to diagnose him with a severe case, as there has been a significant amount of harm done to others either by him or at his request. Due to his age, it is therefore more likely that Joffrey suffers from conduct disorder, as Jonathan Fader also notes. Joffrey could have developed antisocial personality disorder in his later years, but as he dies before his eighteenth birthday, it is not possible to say for certain. For Ramsay Bolton’s timeline click here. For Theon Greyjoy’s timeline click here. Throughout the novels and series, it is possible to witness a progression in the psychological disorders associated with Theon Greyjoy. Upon his introduction, Theon can perhaps be diagnosed with narcissistic personality disorder. He fits the criteria for this disorder as he needs the admiration of others, has a sense of self-importance and entitlement, is obsessed with gaining power, believes that he is special and should be recognized as such, and believes that others are envious of him. As a ward of the Starks, Theon continuously tries to gain praise from them, such as when he saves Bran and believes he should be thanked. Theon also displays a sense of entitlement and self-importance, evident when he returns home to Pyke and expects that everyone should respect and love him. However, when he finds that his sister has earned more esteem than him, he quests for power in the form of taking Winterfell, which he also hopes will earn him praises from his father. When his sister Asha/Yara tries to tell her brother that this plan is folly, he is unwilling to accept this, believing her to be sabotaging him because of her envy. When Theon is captured by Ramsay Bolton, he undergoes a transformation into Reek that also changes his diagnosis. Jonathan Fader notes that while imprisoned and tortured, Theon, as Reek, develops Stockholm Syndrome. Reek has bonded with his captor and is therefore unwilling to betray and/or leave him. While not in the DSM-V, and therefore out of the scope of this essay, it is an important conclusion as it is a possible explanation of Theon’s behaviour as Reek. When examining the DSM-V, it is still possible to diagnose Theon/Reek with a mental illness. Due to his insistence and repetition that he is now Reek, while still possessing some sense of his self as Theon, it is possible to diagnose Theon/Reek with dissociative identity disorder. However, Theon/Reek lacks the critical aspect of the disease in which the new identity creates lapses in his memory. Theon/Reek is always aware of his other identity, as Reek, he is afraid of becoming Theon and the repercussions that would cause with Ramsay, but towards the end of his imprisonment, he constantly switched between the two identities with no memory loss. In the DSM-V there is a type of dissociative disorder that fits Theon’s situation, one that is due to forcible persuasion. These individuals experience a change in and question their identity, as Theon does. This type of dissociative disorder fits Theon/Reek better as his new identity is not brought on naturally, rather it is a result of the extensive psychological and physical torture inflicted on him by Ramsay Bolton, who insists he adopt this new identity to stop the pain. This torture also puts Theon/Reek at risk for post-traumatic stress disorder. He has been exposed to extreme harm and as a result, after it has occurred Theon/Reek experiences continuous distressing memories of the events, fearful that they will happen again, and wishing to do anything to make it stop and avoid further pain. Theon is a complex character that requires a complex diagnosis, with no one explanation superseding any other. While no historical comparison could be found for Theon Greyjoy and Ramsay Bolton, the characters Aerys and Joffrey may have medieval counterparts with similar personalities. Joffrey and his violent but childish nature has been compared to violent nobles, especially those in their younger years. When discussing Joffrey’s death George R.R. Martin explained that he based the death off of the death of Eustace IV, Count of Boulagne the son of King Stephen in 1153. Both deaths take place at feasts, and in both cases the cause was either choking or poisoning. If Martin were to base the death of Joffrey on Eustace, it is therefore possible that he looked to the count for other areas of inspiration, such as his character. In the Anglo-Saxon Chronicle Eustace is described as an evil man who robbed and pillaged. While these are not acts that Joffrey engages in, it is possible that Martin may have been influenced by the idea of an ‘evil’ heir from the accounts concerning Eustace. 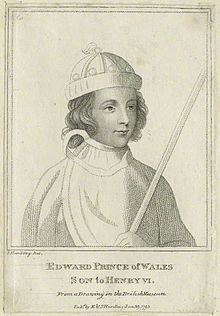 Another possible historical comparison for Joffrey may be Edward of Westminster, Prince of Wales. Both boys were of questioned parentage and died young, though it is their characterisations as cruel and violent that makes Edward a likely comparison. A Milanese ambassador Giovanni Panicharolla wrote that at thirteen Edward discussed beheadings and war with great enthusiasm, and Sir John Fortescue describes how Edward enjoyed attacking his attendants. In addition, much like mercy was promised to Ned Stark and Joffrey executed him anyway; Edward’s father Henry VI had promised mercy to rebel leaders, while Edward went against this to order their execution. Joffrey’s easiest historical comparisons with regard to his mental health are violent heirs who died before their time. Aerys Targaryen II has two important historical comparisons, both of them kings thought to be ‘mad’. The first, Charles VI of France, experienced a mental disorder thought by some to be schizophrenia. Early in his reign Charles relied on an advisor, Philip the Bold, and readily adopted his advice, similar to the way Aerys relied on Tywin Lannister. However, much like Aerys experienced a shock in the form of Duskendale, it is thought Charles’ illness was exacerbated by an event in which he was shocked by the sound of a dropped lance while searching for a criminal, after which he became enraged and killed four men. Charles and Aerys both were suspicious of their wives, Charles also thinking that his wife was unfaithful and that his children were not his own. They also both became fearful of others, letting themselves become disheveled in favour of being touched, and both were prone to mood swings. Charles, King of France and Aerys Targaryen II have obvious parallels, but another king, with less apparent similarities can also be compared to Aerys. Elements of medieval madness are present in A Song of Ice and Fire. One medieval element is the idea of an excess of emotion being a sign of madness. Aerys, with his mood swings from rage, to despair, to happiness is seen as mad due to an excess of emotion, much like in the medieval period, when an inability to control emotions is seen as madness. On the opposite end of the spectrum, the inability to display emotions in A Song of Ice and Fire is an indication of mental instability. Ramsay is seen as a monster for his actions, and lack of emotion, much like in the Middle Ages when those unable to express emotions were seen as unwell. Also similar to the medieval period, those with a mental illness are stigmatized in the series, in particular Theon/Reek. Reek is seen as less than a man and an animal due to his condition. Finally, Aerys and Joffrey are also viewed negatively (despite being kings) for their excessive anger and violence outside the law, much like they would be in the Middle Ages. It can therefore be proposed that Martin has some aspects of medieval madness within his series, however some elements of madness in the series are not medieval. The idea of guardianship for the mentally ill, prevalent in the Middle Ages, is not used by Martin. While Joffrey has his mother, his uncle and his grandfather trying to influence him, none of them are able to be an effective guardian. In addition, rather than changing wills in order for alternative heirs, the characters in A Song of Ice and Fire are named as successors. Aerys remained heir despite his paranoid personality, Joffrey succession was only contested on the grounds of his parentage not his mental capacity, and Ramsay supposedly ensured his succession by getting rid of his half-brother. It is only Theon that is not the heir to his father, though this was called into question not due to his mental illness, but prior upon returning home and being told he was unworthy and had become foreign. Finally, while the term madness is used in A Song of Ice and Fire and Game of Thrones, much like in the medieval period, unlike the medieval period the characters with mental illness are not diagnosed or treated. Efforts are undertaken to curb the most eccentric and violent aspects of the personalities of Aerys, Joffrey, and Ramsay, for example when Tywin and Tyrion refuse to allow Joffrey to serve Sansa the head of her brother, but there are no efforts to examine the underlying meaning behind their actions. In the case of Theon, his mental illness in the beginning is either reinforced, when he has people refer to him as prince, or undermined, such as when he is told by his father that he is no longer good enough to be heir, and after becoming Reek his illness is urged on by his continual physical and psychological torture by Ramsay. In neither case is his illness questioned. While Aerys is called mad, there is no attempt made to diagnose what type of madness it is. This aspect is neither medieval nor modern, as in both cases there is a desire to diagnose and treat an illness, while in A Song of Ice and Fire, people are largely unquestioning and accepting of illness. However, it is possible that there are aspects of Martin’s world that we do not yet know, and that the maesters at the Citadel do have a system for diagnosis and treatment. The danger of an open world is making conclusions before all the facts have been presented. Ray Porter, Madness: A Brief History (Oxford: Oxford University Press, 2002), 45-7. Kate McGrath, “Royal Madness and the Law: The Role of Anger in Representations of Royal Authority in Eleventh- and Twelfth-Century Anglo-Norman Texts,” in Madness in Medieval Law and Custom, ed. Wendy J. Turner (Leiden: Koninklijke Brill NV, 2010), 126-27. Wendy J. Turner, “Silent Testimony: Emotional Displays and Lapses in Memory as Indicators of Mental Instability in Medieval English Investigations,” in Madness in Medieval Law and Custom, ed. Wendy J. Turner (Leiden: Koninklijke Brill NV, 2010), 91. McGrath, “Royal Madness and the Law,” 126. Simon Kemp, Medieval Psychology (Westport, CT: Greenwood Press, Inc, 1990), 80. Wendy J. Turner, “Town and Country: A Comparison of the Treatment of the Mentally Disabled in Late Medieval English Common Law and Chartered Boroughs,” in Madness in Medieval Law and Custom, ed. Wendy J. Turner (Leiden: Koninklijke Brill NV, 2010), 28. Wendy J. Turner, “Introduction,” in Madness in Medieval Law and Custom, ed. Wendy J. Turner (Leiden: Koninklijke Brill NV, 2010), 3. Turner, “Town and Country,” 27. Turner, “Town and Country,” 19-20, 24-25. Turner, “Town and Country,” 25. Turner, “Town and Country,” 18. Turner, “Town and Country,” 33,35. Turner, “Town and Country,” 35. McGrath, “Royal Madness and the Law,” 129. McGrath, “Royal Madness and the Law,” 129-30. McGrath, “Royal Madness and the Law,” 134-35. Wendy J. Turner, “A Cute for the King means Health for the Country: The Mental and Physical Health of Henry VI,” in Madness in Medieval Law and Custom, ed. Wendy J. Turner (Leiden: Koninklijke Brill NV, 2010), 178. American Psychiatric Association, Diagnostic and Statistical Manuel of Mental Disorders: DSM-V (Washington, D.C: American Psychiatric Association, 2013), 87. Linda Antonsson, Elio M. Garcia Jr., George R.R. Martin, The World of Ice and Fire: The Untold History of Westeros and The Game of Thrones (New York: Bantam Books, 2014), 113-4. Antonsson, Garcia, and Martin, The World of Ice and Fire, 119. Antonsson, Garcia, and Martin, The World of Ice and Fire, 119-20. American Psychiatric Association, DSM-V, 88. Antonsson, Garcia, and Martin, The World of Ice and Fire, 117, 125. American Psychiatric Association, DSM-V, 99. American Psychiatric Association, DSM-V, 103. Antonsson, Garcia, and Martin, The World of Ice and Fire, 93, 106. American Psychiatric Association, DSM-V, 649. Antonsson, Garcia, and Martin, The World of Ice and Fire, 116-7, 125. Antonsson, Garcia, and Martin, The World of Ice and Fire, 115. American Psychiatric Association, DSM-V, 105, 649. Antonsson, Garcia, and Martin, The World of Ice and Fire, 120. George R.R. Martin, A Clash of Kings (New York: Bantam Books, 1999), 797-8. American Psychiatric Association, DSM-V, 476. George R.R. Martin, A Feast for Crows (2005; repr., New York: Bantam Books, 2011), 330. Jonathan Fader, “Diagnosing Game of Thrones: What’s Ailing Westeros?” Psychology Today, June 8, 2014, https://www.psychologytoday.com/blog/the-new-you/201406/diagnosing-game-thrones-whats-ailing-westeros (accessed March 1, 2015). George R.R. Martin, A Game of Thrones (1996; repr., New York: Bantam Books, 2011), 147-8, 746. George R.R. Martin, A Storm of Swords (2000, repr., New York: Bantam Books, 2011) , 713-6, 810-1. Martin, A Game of Thrones, 743-4, 748-50. Martin, A Clash of Kings, 486-8. Martin, A Game of Thrones, 150-1. American Psychiatric Association, DSM-V, 659. American Psychiatric Association, DSM-V, 470. Martin, A Storm of Swords, 713-6, 803-05, 864. American Psychiatric Association, DSM-V, 470-1. Fader, “Diagnosing Game of Thrones”. George R.R. Martin, A Dance with Dragons (2011; repr., New York: Bantam Books, 2013), 176, 430-1 472-3. Martin, A Dance with Dragons, 466. Martin, A Dance with Dragons, 183, 463, 549. Martin, A Dance with Dragons, 117-8. American Psychiatric Association, DSM-V, 669-70. Martin, A Game of Thrones, 407-8. Martin, A Clash of Kings, 179-80, 389, 804-7. Martin, A Dance with Dragons, 183. American Psychiatric Association, DSM-V, 292. Martin, A Dance with Dragons, 475, 548. American Psychiatric Association, DSM-V, 306. Martin, A Dance with Dragons, 180-3. Reverend J. Ingram, trans., The Saxon Chronicle AD 1 to AD 1154, rev. ed. (London: Studio Editions, 1993), 372. Raluca L. Radulescu, Romance and its Contexts in Fifteenth-Century England: Politics, Piety and Penitence (Cambridge: D.S. Brewer, 2013), 63. M. Guizot, The History of France from the Earliest Times to the Year 1789, trans. Robert Black (New York: AMS Press, 1969), 228. Turner, “A Cure for the King,” 183. Anne Denieul-Cormier, Wise and Foolish Kings: The First House of Valois 1328-1498 (New York: Doubleday and Company, Inc., 1980), 197-199. Ralph A. Griffiths, The Reign of King Henry VI: The Exercise of Royal Authority, 1422-1461 (Berkeley: University of California Press, 1981), 716. Turner, “A Cure for the King,” 183, 190-1. Antonsson, Garcia, and Martin, The World of Ice and Fire, 114, 124. Turner, “A Cure for the King,” 187. Antonsson, Garcia, and Martin, The World of Ice and Fire, 125. Martin, A Dance with Dragons, 177. Martin, A Storm of Swords, 713-16. Martin, A Clash of Kings, 184, 544. American Psychiatric Association. Diagnostic and Statistical Manuel of Mental Disorders: DSM-V. Washington, D.C: American Psychiatric Association, 2013. Antonsson, Linda, Elio M. Garcia Jr., George R.R. Martin, The World of Ice and Fire: The Untold History of Westeros and The Game of Thrones. New York: Bantam Books, 2014. Denieul-Cormier, Anne. Wise and Foolish Kings: The First House of Valois 1328-1498. New York: Doubleday and Company, Inc., 1980. Fader, Jonathan. “Diagnosing Game of Thrones: What’s Ailing Westeros?” Psychology Today. June 8, 2014. https://www.psychologytoday.com/blog/the-new-you/201406/diagnosing-game-thrones-whats-ailing-westeros (accessed March 1, 2015). Griffiths, Ralph A. The Reign of King Henry VI: The Exercise of Royal Authority, 1422-1461. Berkeley: University of California Press, 1981. Robert Black. New York: AMS Press, 1969. Hibberd, James. “George R.R. Martin on Why Joffrey Died THAT way—EXCLUSIVE.” Entertainment Weekly. January 17, 2015. http://www.ew.com/article/2014/04/13/george-r-r-martin-why-joffrey-killed (accessed March 21, 2015). Kemp, Simon. Medieval Psychology. Westport, CT: Greenwood Press, Inc, 1990. Martin, George R.R. A Game of Thrones. 1996. Reprint. New York: Bantam Books, 2011. Martin, George R.R. A Storm of Swords. 2000. Reprint. New York: Bantam Books, 2011. Martin, George R.R. A Feast for Crows. 2005. Reprint. New York: Bantam Books, 2011. Martin, George R.R. A Dance with Dragons. 2011. Reprint. New York: Bantam Books, 2013. Porter, Roy. Madness: A Brief History. Oxford: Oxford University Press, 2002. Radulescu, Raluca L. Romance and its Contexts in Fifteenth-Century England: Politics, Piety and Penitence. Cambridge: D.S. Brewer, 2013. Reverend Ingram, J, trans. The Saxon Chronicle AD 1 to AD 1154. Rev. Ed. London: Studio Editions, 1993. Turner, Wendy J, ed. Madness in Medieval Law and Custom. Leiden: Koninklijke Brill NV, 2010. ← The Red God and His Ancient Inspirations.